Scientists plan to use in vitro fertilization to preserve a species with only three remaining members in the wild. 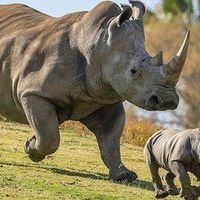 Ceratotherium simumWIKIMEDIA, HEIN WASCHEFORTUsing in vitro fertilization (IVF), scientists hope to revitalize populations of the endangered northern white rhino (Ceratotherium cottoni). 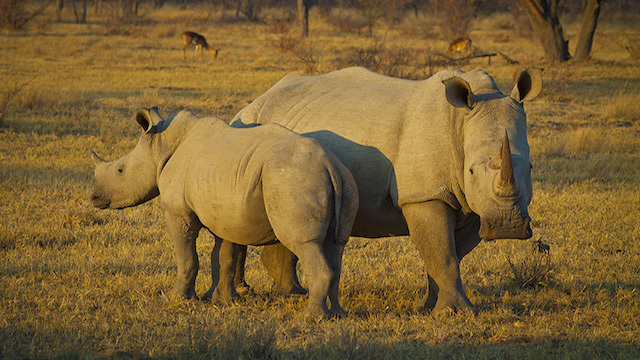 Illegal poaching has wiped out northern white rhino populations. Only three are left in the wild: a 40-year-old male and two younger females. The remaining animals are currently housed at the Ol Pejeta Conservancy in Kenya, where they are protected by armed guards. Although southern white rhinos (Ceratotherium simum) were also once endangered, conservation efforts boosted their population back to over 20,000 animals. Because age and fertility issues make it impossible for the remaining northern whites to breed naturally, scientists hope to create new offspring in test tubes. 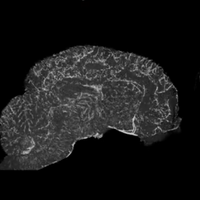 Before that happens, researchers plan to test the procedure on southern white rhinos first. 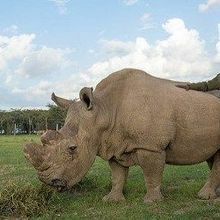 According to the Telegraph, Dvur Králové Zoo in the Czech Republic, which owns the three remaining northern white rhinos, is organizing the effort. 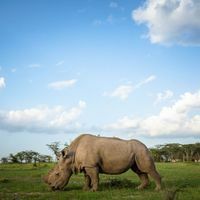 This week, researchers gathered nine southern white rhino eggs from Longleat safari park, a zoo in the U.K.
Those eggs are now at a clinic in Italy that specializes in assisted reproduction for animals. There, scientists have fertilized the eggs with southern white sperm and cryogenically frozen them. They will eventually implant these back into rhinos. Researchers plan to extract eggs from the northern white rhinos in Kenya later this year. Once those eggs are fertilized, scientists will plant the embryos into surrogate southern white mothers. If this process is unsuccessful, scientists will try creating hybrid southern and north white rhinos instead.